March is an important month for raising awareness of primary headache disorders and the research being done to understand and treat them, with Brain Awareness Week 11th – 17th and Cluster Headache Awareness Day on the 21st. To coincide with these important events we invited Anne-Sophie Wattiez and Doga Vuralli to talk about their recent review in The Journal of Headache and Pain which explores how we can use animal models to better understand the pathophysiology of headache disorders and develop potential treatments. Primary headache disorders such as migraine are very common and their mechanisms are not entirely understood. Aside from being painful, headache disorders are also disabling. Migraine has recently been ranked as the second highest cause of years lost due to disability worldwide. Cluster headache is another disabling primary headache and extremely painful form of trigeminal autonomic cephalalgia. After decades at a standstill, new drugs to treat migraines have been developed and at the forefront of these new drugs are the CGRP antibodies. CGRP stands for calcitonin gene-related peptide, which is a neuropeptide naturally present in the trigeminal system that transmits head pain. CGRP is elevated during migraine attacks and monoclonal antibodies that block either CGRP or its receptor have proven effective at preventing both episodic and chronic migraine. There is evidence that CGRP is also implicated in cluster headache. Sphenopalatine ganglion stimulation or noninvasive stimulation of vagus nerve was also recently developed for preventive treatment of cluster headache. While there is a remarkable advance in the treatment of headache, available drugs/methods still do not achieve relief for certain proportion of headache patients. This is where pre-clinical (animal) studies come in, particularly behavioral research for more clinically relevant modelling headache. Animal models of migraine provide a better understanding of the pathophysiology of headache disorders and pharmacological basis for treatment. A review of relevant behavioral and cognitive animal models in headache research has recently been published in The Journal of Headache and Pain. 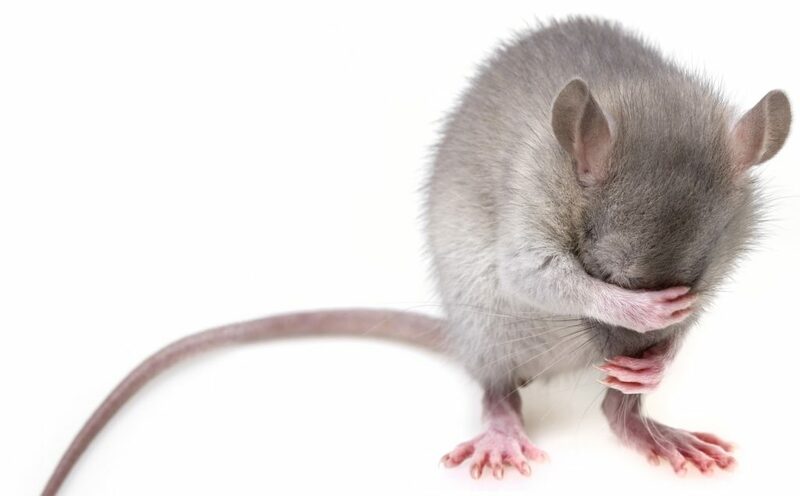 While definitive proof that an animal suffers from a headache is not possible, headache disorders can be described in terms of symptoms, some of which can be assessed in laboratory animals. Typically, a person suffering from a migraine shows spontaneous and evoked pain symptoms, photophobia (sensitivity to light), and often cognitive and emotional impairments. There are multiple ways to measure pain in laboratory animals. Pain tends to decrease natural behaviors in rodents, such as exploratory drive, locomotor activity, rearing or even food and water consumption. This decrease can be observed in different models of headache such as the ones induced by stimulation of the dura (a membrane under the skull that protects the brain), or by cortical spreading depression (CSD), which is a correlate for the aura that some migraineurs experience right before getting a migraine. Just like humans in pain, animals tend to show facial signs of discomfort. Spontaneous pain can also be measured in animals. For example, freezing behavior, an episode during which the animal abruptly stops moving, walking, rearing, grooming or eating and stares at an uncertain spot, has been extensively described in the CSD models. Additionally, and just like humans when in pain, animals tend to show facial signs of discomfort. Animals squint their eyes, bulge their noses and change the position of their whiskers when in pain. This is the case in mice after they are injected with CGRP in order to reproduce the elevated levels observed in migraineurs. Finally, rodents are able to emit ultrasonic vocalization calls when in pain, and those have been described in CSD models. Photophobia, another important symptom in headache disorders, is an altered perception of light that commonly triggers migraine, and also elicits discomfort during and between headaches. In rodents, it is possible to assess light-aversion as a surrogate of photophobia, by measuring how much time the animal spends in a light compartment compared to a dark one, when able to move freely in between the two. It’s very important to use animal models that not only reproduce the pain component of the headache, but that also take into account the effective and emotional aspects, as well as the cognitive impairments observed in this disorder. Those aspects are just as debilitating to patients as pain, and the effect of drugs on those symptoms need to be assessed. As such, tests measuring anxiety, depression, memory, conditioning, spatial learning, attention and recognition have been assessed in various models. While there is no ideal animal model mimicking cluster headache, superior salivatory nucleus stimulation is the model which most resembles the cluster headache. In this model, trigeminal distribution of pain is determined by dural meningeal artery vasodilation and neuronal firing in the trigeminocervical complex and cranial autonomic symptoms such as lacrimation or tearing is measured by changes in blood flow in the lacrimal gland/duct. In cluster headache patients, induction of headache can also be triggered by inhalation of nitroglycerin. However nitroglycerin also triggers migraine and there is a migraine model using the administration of nitroglycerin to induce migraine-like symptoms. This model displays most of the symptoms mentioned above, namely decreased food consumption, increased facial signs of discomfort, hypersensitivity to touch, cold and heat, anxiety-like behaviors and some light-aversion. Anti-migraine medications such as triptans were tested on this model and showed moderate efficacy, mirroring the results observed in patients, and once again stressing the need for the discovery of new drugs to treat headache patients.